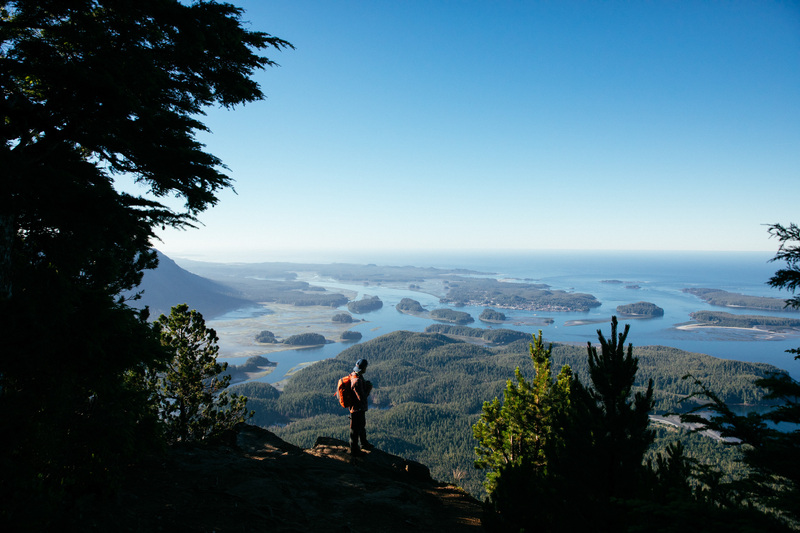 Beyond the town of Tofino awaits an adventure. Aside from the beach combing, whale watching, fishing, kayaking and surfing, there’s plenty of options. If you’re up to the challenge, we have a few out of the way ideas that will make your next visit even better. While some might say that the journey is more important than the destination, we have a few ideas to share that are just as appealing when you arrive. Each offers amazing scenery and an incredible experience for your visit to Tofino. A trip to Tofino should include a visit to the Hot Springs at Maquinna Provincial Park. After an hour long trip by water taxi and 30 minute hike along boardwalk trail through old growth forest, you’ll arrive at the enchanting Hot Springs Cove, fed by geothermal waterfalls to relax in. Just beyond the outskirts of Tofino, nestled in Cypress Bay, is a vibrant community (population: 2) and home to Catherine and Wayne Adams. About a half hour by boat north east of Tofino, the floating oasis created by the couple choosing to live off the grid is an ongoing project of 15 floating platforms that’s about living sustainably with all materials used being reclaimed storm-blown wood or salvaged from surrounding areas. Near the end of World War II a Royal Canadian Air Force Canso Bomber (Flight 11007) took off from Tofino for a routine night patrol. Shortly after take off, an engine failed. 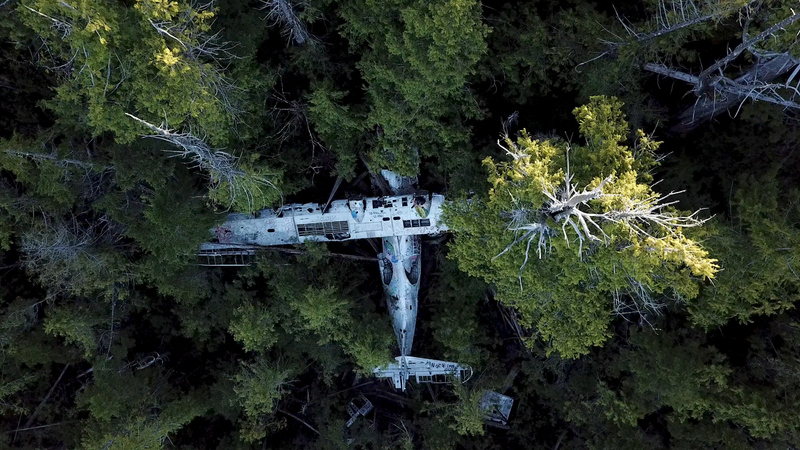 While the pilot tried to turn back, they didn’t make it, but the crew survived. Fortunately, the four 400kg bombs onboard didn’t detonate during the crash. Not to worry, they’ve been removed. The hike is about an hour, starting at Radar Hill lower parking lot. Be prepared for muddy trails. Tofino is well known for hiking, with many visiting the rainforests of Pacific Rim National Park Reserve. 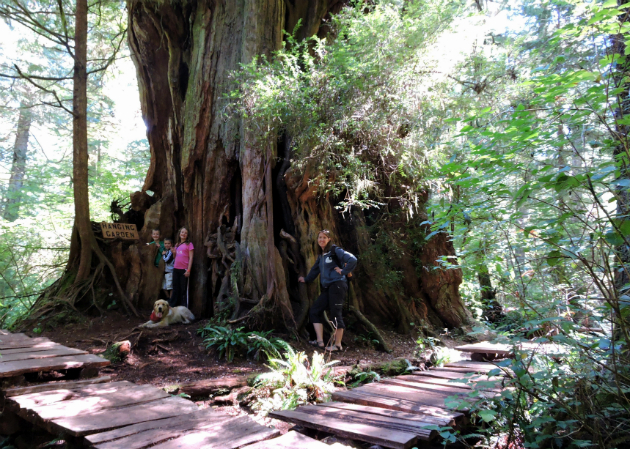 But for those willing to venture further is Meares Island, home to Big Tree Trail and enormous Western red cedar trees, many as old as 1,500 years. There’s no shortage of hiking options, but if you want a reward after your trek, you might consider Lone Cone Trail, also found on Meares Island. Not a beginner trail, the 700 metres (2,296 feet) in elevation makes for a challenge, and the muddy flats and slippery tree roots you’ll pass require sure footing. But once you’ve made it to the top, the view makes it all worthwhile. A reminder that any time you use a water taxi, be sure to have a phone with you so that you can call them to pick you up too, and wear sensible footwear when hiking. 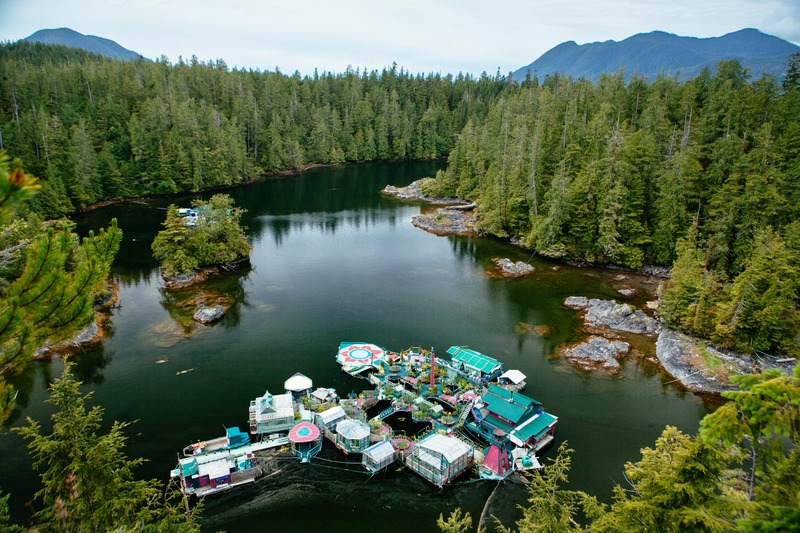 For more ideas when visiting, see our guide on Things To Do in Tofino.